We want to make your endodontic experience as painless and anxious free as possible. Although not every root canal is easy to accomplish, we know you will be happy with the stress free environment and ease at which Dr. Shugars is able to perform your endodontic procedure. 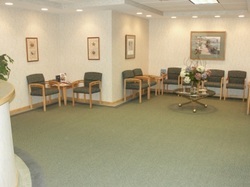 Every procedure will be explained and all your questions will be answered to the best of our ability.